The 10 Best Spa Hotels in West Virginia! For hundreds of years, the benefits of massage have been known to be more than just relaxing to the body. The healing touch of a great massage with essential oils and other therapeutic properties make for a rejuvenating experience. Why not make a whole vacation of it? Here are the 10 best spa hotels in West Virginia. Relaxation redefined. That’s what you’ll find at the Marriott at Waterfront Place in Morgantown, West Virginia. No more than a phone call away is the chance to slip into a bit of heaven at Olexa Salon & Spa, located inside the hotel. Treat yourself to a full body massage, facial, or mani/pedi by an experienced team who will help you feel like a new person. Whether you’re an overnight guest or a local resident, this is just what you need. If you’ve never experienced the feeling of well-being that comes from being pampered, then you’re long overdue for a trip to Wilson Lodge. Located at the renowned Oglebay Resort and Conference Center in Wheeling, West Virginia, you can book any number of special body treatments, a massage, or a manicure and pedicure. 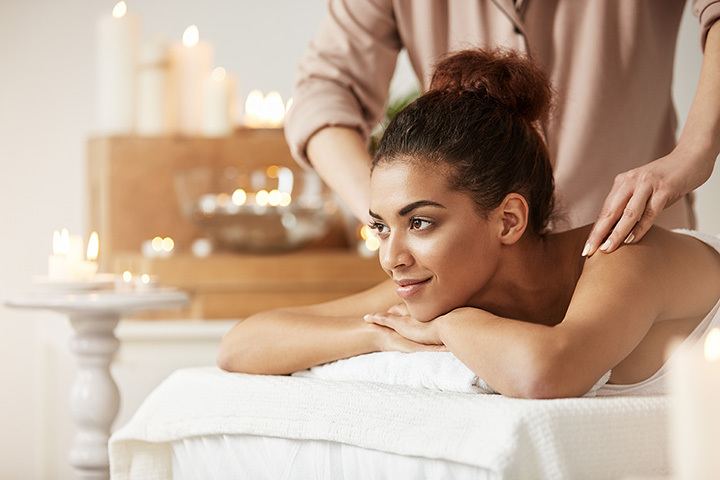 With the purpose of giving you a special time away from the stress of everyday life, you can choose from a number of treatment options like the Swedish massage, designed to increase your range of motion and reduce stress. They offer a prenatal massage especially for women in their second or third trimester that will help the body relax and prepare for giving birth. Schedule an appointment soon because you’re worth it. Canaan Valley is known for the beautiful countryside in every season of the year, but the Spa at Canaan holds another special treat. Part of the Canaan Valley Resort & Conference Center in Davis, West Virginia, there’s no better place to relax, reduce the stress in your life, relieve muscle pain, improve circulation, or just pamper yourself. You can combine several services for a personalized package for yourself or you can schedule a couple’s massage when you want to share this intimate relaxation technique with a special someone. Stonewall Resort in Roanoke is home to the Mountain Laurel Spa. Guests of the hotel can take advantage of the relaxing and invigorating services available at the spa like Swedish, deep tissue, hot stone, or signature massage, body therapy treatments like the Cozy Cabin Wrap, a complete body exfoliation, the French green clay, seaweed, and grape stem detox, or the “Close to Nature” body scrub, a soothing and moisturizing treatment designed to rehydrate dry skin. Visitors can also try a special facial or hand and foot treatment that can boost the regeneration of new cells. Treat yourself to a gentle and refreshing experience during your next stay at the resort. There are so many things to do when you stay at the world-class Greenbrier Resort and Hotel in White Sulphur Springs, West Virginia. After a day of activity, you may just want to relax and pamper yourself at the equally impressive spa on premise. Carefully designed to be a modern location for healing, there are special treatments like the Greenbrier Treatment. After a steam or sauna, you can experience a full body massage that will leave you feeling amazing. Staffed by professional technicians who will deliver whatever treatment you choose, you don’t have to have a reason to come. Do it because you can. During your next stay at the Resort at Glade Springs in Daniels, West Virginia, don’t forget to include time at the spa located on premise. Choose from a variety of therapy and beauty treatments that will leave you feeling refreshed from head to toe. Facials, hand and foot treatments, massage, and body wraps that sound good enough to eat, you’ll be pampered into better health and relaxation. Offering unique and relaxing treatments designed to pamper and recharge, the Gate House at Hillbrook Inn provides an exceptional experience. Located in Charles Town, West Virginia, appointments at the Gate House must be booked 24 hours ahead, but once there, you’ll be able to slip into a quiet respite from daily routines with one of the many services there. Enjoy a full body massage or let the trained professional focus on problem areas like back, neck, or legs. An aromatherapy massage may be just the thing to create a feeling of wellness with the use of essential oils. Whatever you choose, you can be assured of an amazing time and a renewed sense of well-being. You’ll experience more than a step back into history in beautiful Berkeley Springs, West Virginia when you stay at the Country Inn. Besides first-class accommodations and a unique dining experience, you can enjoy any of the services offered at the Renaissance Spa, located in the Inn. Relax in one of the whirlpool tubs filled with mineral water from the surrounding springs. People as far back as George Washington used this special water for healing, relaxation, and to regain a sense of calmness. Open every day, you’ll be able to experience a personal renaissance of peace and tranquility. Family owned and operated, Capon Springs in the city of the same name, is your home away from home. This special place is a refuge from the outside world, and while here, you’ll want to take advantage of the Hygeia Bath House & Spa. Named for the Greek goddess of good health and wellness, part of the charm of the spa is the peaceful atmosphere where time seems to stand still. Start your time with a relaxing soaking bath in one of the three tiled private baths filled with healing Capon Springs water and aromatherapy mineral salts. Follow that with a full body massage from 30 to 60 minutes, or have special problem areas addressed by a reflexology treatment. You don’t have to be in hurry to leave because there’s a large porch where you can quietly sit and listen to the birds. The spa is open the same hours as the resort. When you book your stay at the fabulous Lakeview Golf Resort & Spa, you’re staying at the premier family and recreation facility in the Mountain State. Located in Morgantown, West Virginia, you can relax in peaceful surroundings at Spa Roma with one of the many special spa packages available year-round. Personal attention, experienced staff, and great products make this full-service spa and salon unique and healing.